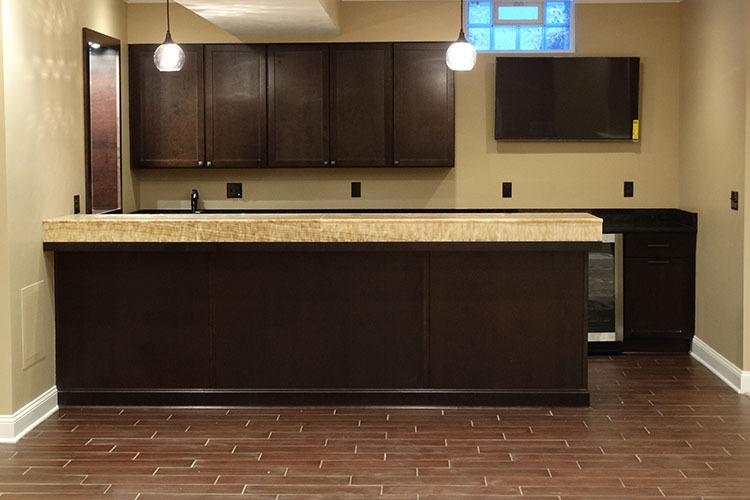 Basement Finishing Westlake, OH | Odell Construction Inc. Your basement has loads of potential. Whether it is a multi-media home theater, a robust work out room, a safe and clean playroom for children, an extra bedroom for guests, or a personal getaway, we can add value and comfort to your home. Built in cabinets can provide extra storage space and add a look of luxury and elegance. We will work hand in hand with you to ensure that we fully understand your wants and needs so the basement that we deliver can be enjoyed for years to come. We pride ourselves on our fine craftsmanship and attention to detail.